Red Bull challenges riders to complete 100km in honor of the 4th edition of Red Bull Kop over Kop. 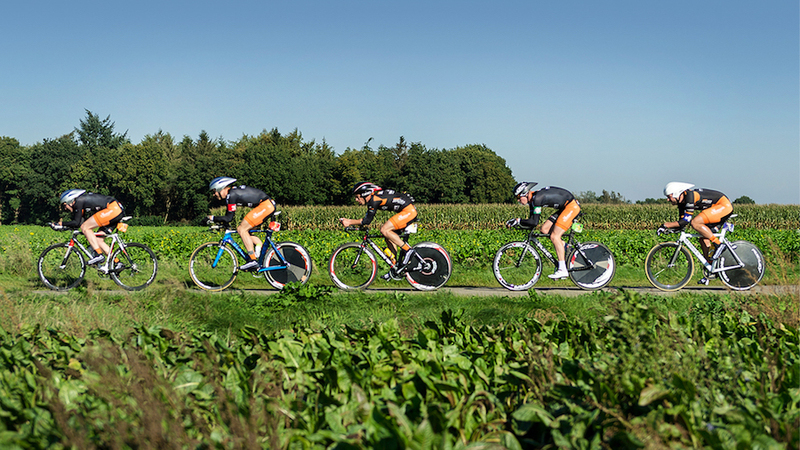 The reversed time trial event, in which sprinters and stoempers need each other to cycle 100 km 'kop over kop', takes place on the 7th of October in Drenthe. In honor of the event - and perhaps even to train for it - Red Bull challenges you to ride 100km. You can do this in one go and aim for your best time yet, or split up the distance as you like. Kop over Kop has a role for everyone, with each team composed of five men and / or women, in five different roles and with five different characters: De Kopman, De Stoemper, De Klimmer, De Meesterknecht, and De Sprinter. The first biker starts alone in the first section, with a new teammate joining him every 20km. So whatever your riding specialty, there's a role for you in Kop over Kop. Get on your bike - ready, set, go! 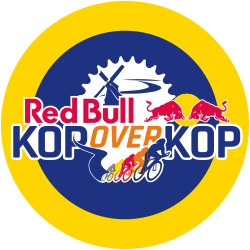 Want to learn more about Red Bull Kop over Kop and sign up for the event? Check out the event page and join the Kop over Kop Strava club. To be eligible for any of the prize draws, participants must opt-in on the link provided upon completion of the challenge. Finishers receive digital badges and could win Kop over Kop tickets, a Canyon helmet, a jersey, and more! The Challenge starts and ends based on each participant's local time zone. Manual entries, private activities, and virtual trainer rides will not count towards your challenge effort. The content in this challenge is the sole expression of Red Bull. To learn more about how to use Strava, please visit the Strava Support Center or email support@strava.com. All other inquiries should be directed to Red Bull. Prize eligibility and fulfillment is at the sole discretion of Red Bull. - Participants must reside in the Netherlands in order to be eligible for prizes. - All entrants must be over 18 years old. - Must have Strava account to participate. - Prize winners will be selected from eligible challenge finishers who have opted in to receive Red Bull rewards by a random number selector. - Challenge begins at 25/08/18 at 12:01AM and ends at 22/09/18 at 11:59PM in each participant's local time zone.